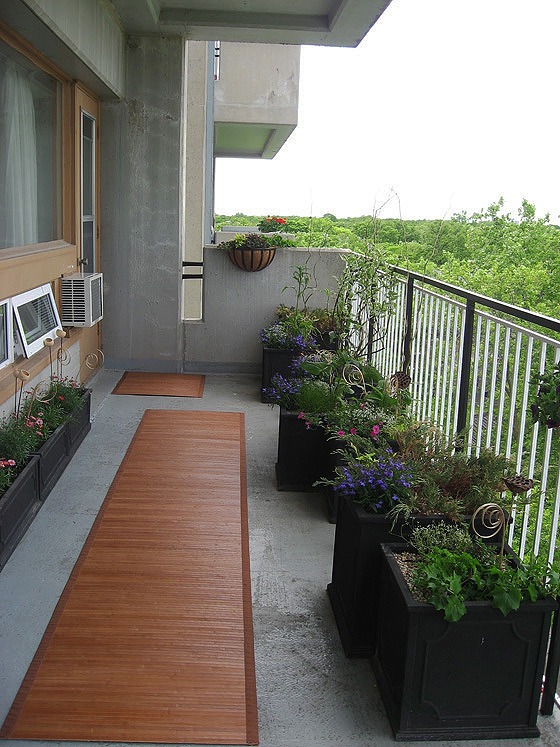 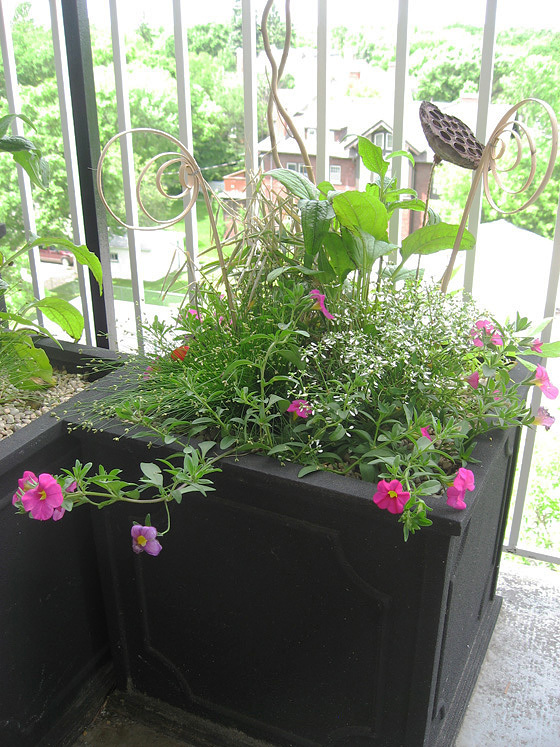 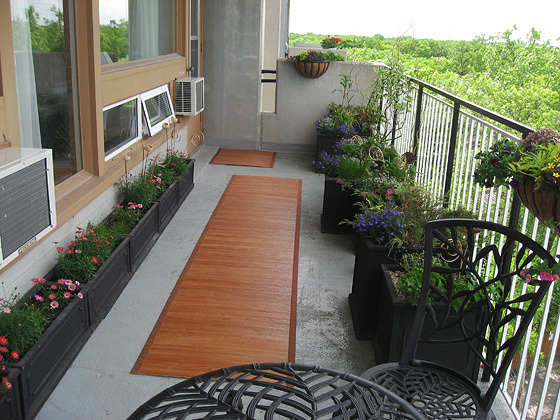 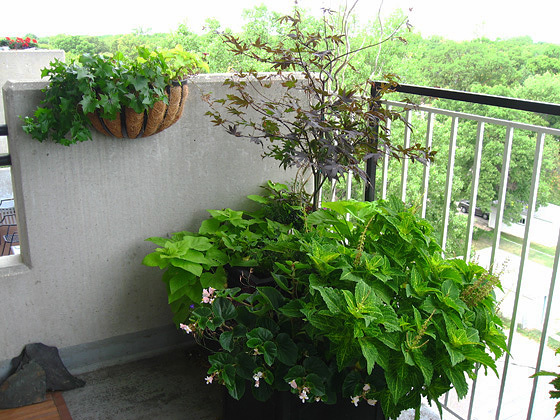 A balcony was this condo owner's only outdoor space. 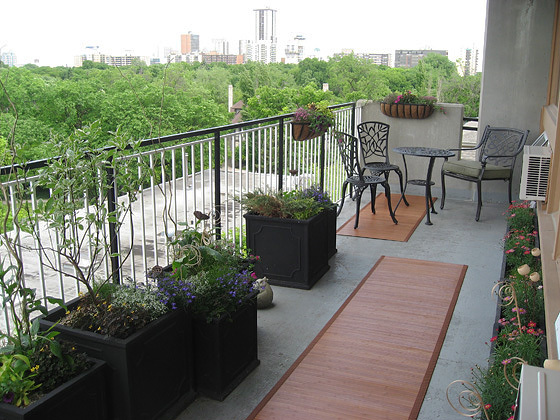 It afforded a fabulous view to the neighbourhood, but offered nothing itself. 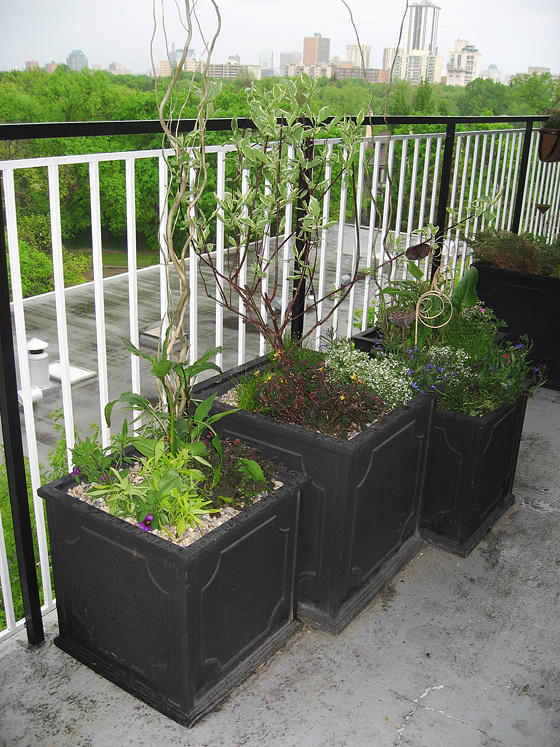 The plan focused on converting the balcony into a garden. 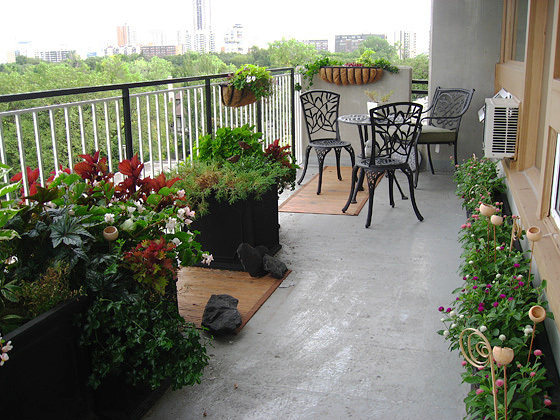 There is a comfortable sitting area from which the view to the neighbourhood, and to the balcony garden can be enjoyed. 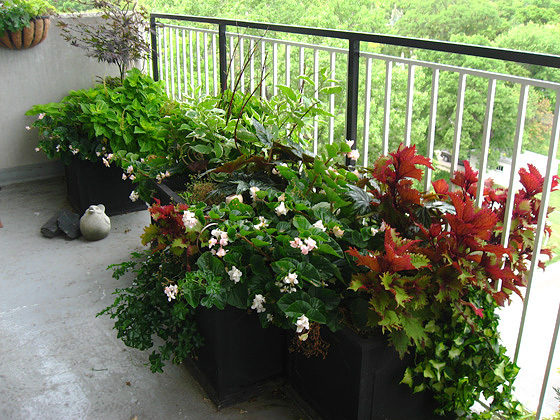 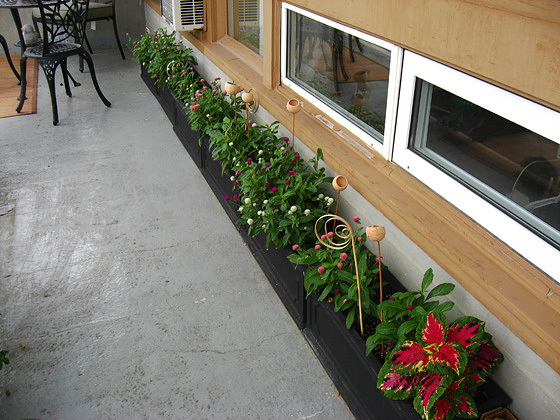 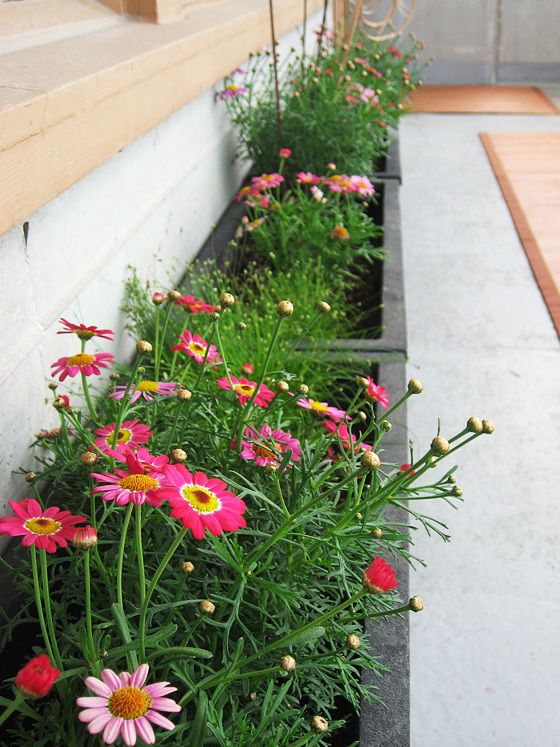 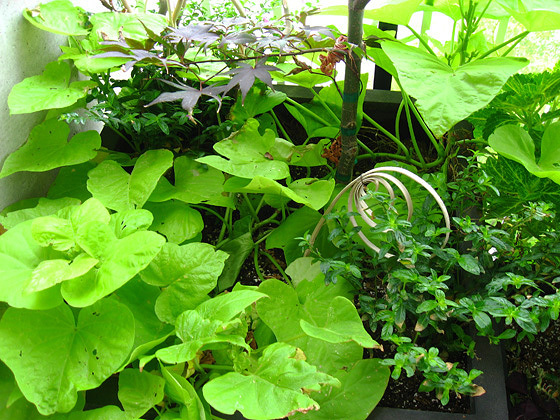 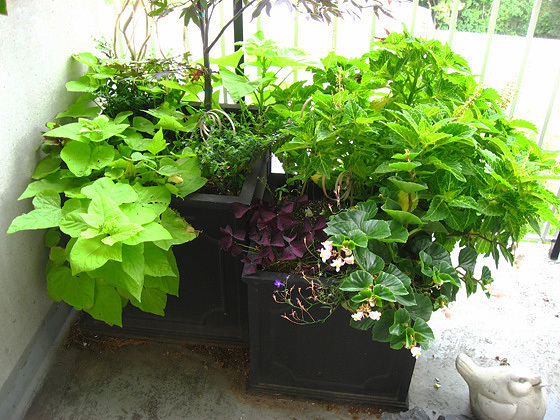 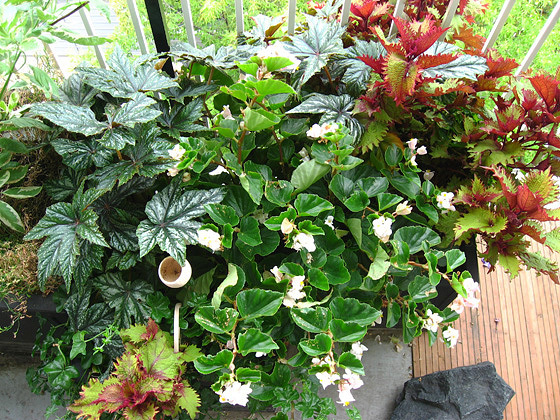 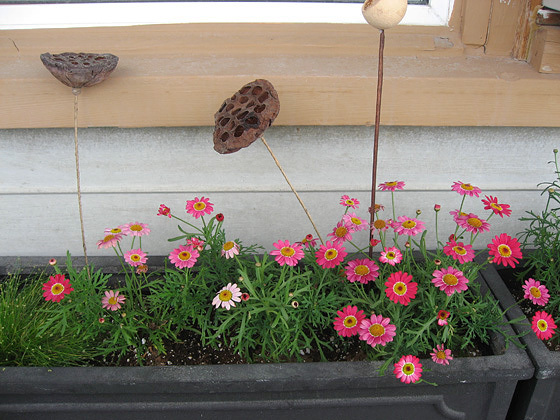 Plants were selected for low maintenance, wind tolerance, partial shade preference, as well as those which contributed to summer long colour and year round interest.